“60 Minutes” airs full interview with Egyptian President, in which he acknowledged close security cooperation with Israel. CBS’ “60 Minutes” news program on Sunday night aired the full interview with Egyptian President Abdel Fattah Al-Sisi, in which he offered a rare acknowledgement of his country’s close security cooperation with Israel in the Sinai Peninsula. Last year, The New York Times reported that Israel has launched air strikes against ISIS targets in northern Sinai with Egyptian approval. Egypt’s military spokesperson vehemently denied the report, insisting it was not “credible”. Asked by “60 Minutes” why he had not managed to wipe the Sinai jihadists out, Sisi replied, "Why hasn't the US eliminated the terrorists in Afghanistan after 17 years and spending a trillion dollars?" The Egyptian President’s interview with “60 Minutes” was not without controversy, as CBS revealed that Egypt had asked the network not to air the interview. It is unclear why Cairo demanded that the interview not be aired, but some believe the reason could be the issue of political prisoners in Egypt, which the President was pressed about in the interview. The interviewer, Scott Pelley, asked him about claims by Human Rights Watch that there are 60,000 political prisoners being held in Egypt. “I don't know where they got that figure. I said there are no political prisoners in Egypt. Whenever there is a minority trying to impose their extremist ideology. We have to intervene regardless of their numbers,” said Sisi. Pelley pressed him about the Muslim Brotherhood, which was outlawed in Egypt after Sisi took power from Muslim Brotherhood member Mohammed Morsi. “The Egyptian people rejected such a strict religious government. 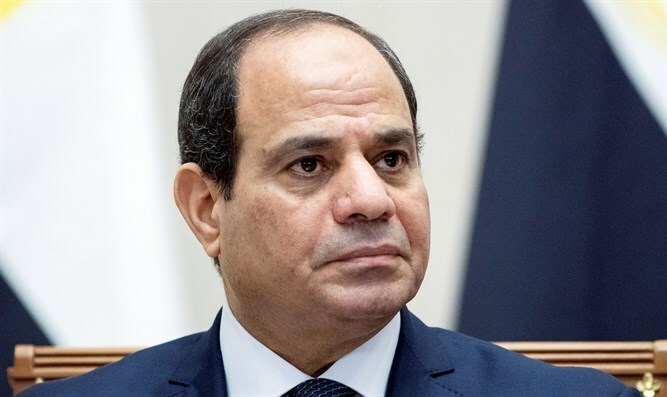 It is the right of the Egyptian people to choose the form of government they like,” said Sisi, insisting the group was not outlawed because it is the leading political opposition to him. “No, no, no. We are only dealing with extreme Islamists who are carrying weapons. We would welcome them to live among the people but we don't want them to carry weapons and destroy the Egyptian economy,” he stressed.